Whether for you or your family, managing your finances and preparing for retirement can be daunting tasks. You need a financial professional you can rely on for guidance, someone who will truly listen to your needs and goals. We engage you in a process that is not a once in a lifetime event. Our process is evolutionary, taking into account your resources, the financial decisions you need to consider, and the ongoing changes in your life. This detailed and integrated approach is capable of addressing many of your financial concerns. By working with Sage Investments now, you may take control of your finances so they don’t take control of you. The sooner you start, the more time you’ll have to explore your options and take action toward helping achieve your dreams for the future. We look forward to the opportunity to learn how we can help you realize your financial goals. Let’s get started. 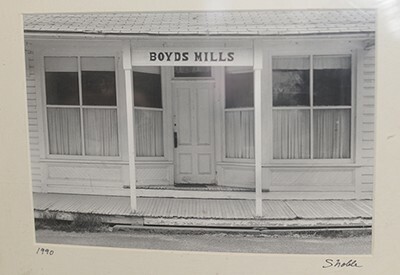 The former General Store which houses the offices of Sage Investments dates from the 1800s and has been in Josh’s family since the early 1930s. In October 2010, the building was given a Historic Preservation Award by the Wayne County Historical Society. When you come in, you’ll be able to enjoy some of the interesting artifacts that were uncovered during our renovations.